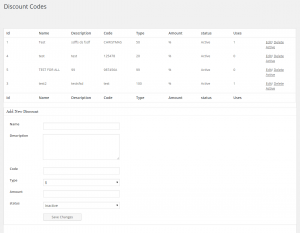 Here you will find the option to create your discount codes. 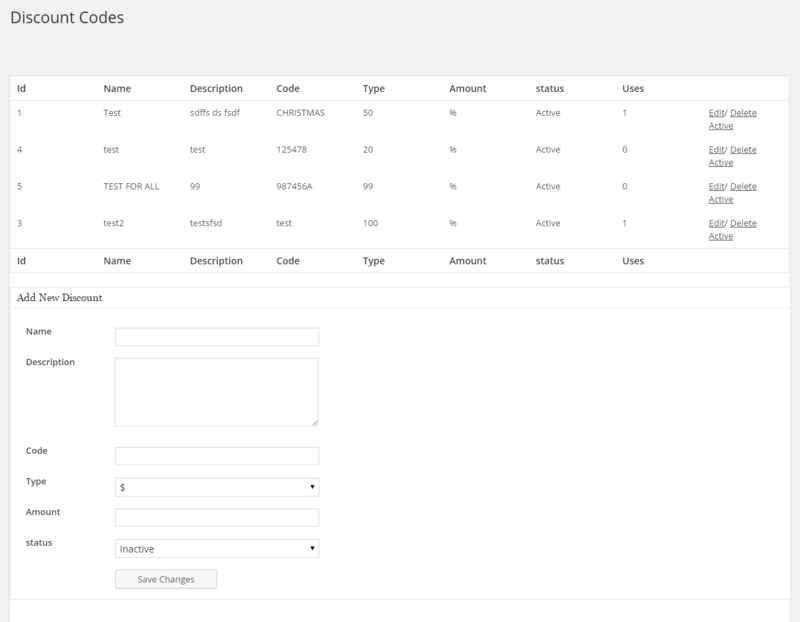 From here itself, you will also find the option to edit, delete or activate the discount codes that you previously created. The discount codes that you create from here can be used and applied by your members while they upgrade their membership or purchase the credits. This is an important tool to use if you are about to run some promotional activities. Occasionally issuing and distributing the discount codes can help your members to subscribe for the premium membership and generate more revenue for you. You can create more than one discount codes. Name: Give a suitable name for your discount code like if you are creating it for promotion on the New Year, “New Year Discount Offer” can be your discount name. Description: Write down a description for the discount code so it becomes easy to understand. Code: Place your Discount code here. You can use simple alphabets or alpha-numeric characters. Type: You have two options here. You can either give specific amount of discount for which you can select the currency symbol or you can give out percentage discount for which you can select the % sign. Amount: Please specify how much discount you want to give out here. This space for amount will accept the numeric characters. If you want to give 10% discount, just write 10 here. Status: Here you have the option to set the discount code Active or Inactive. After distributing the discount code, you may want to deactivate this discount code after certain period of time so you can use this Status setting. Finally click on the save change.